This is my architecture final project at university. It consisted on giving high rise residential buildings a more green and neighborhood feel. In this way people wouldn't feel alienated by living in a high rise. The apartments would be modular and have very big patios. Users would come out of their apartments to an elevated "sidewalk" and an elevated "street" to share with their communities. 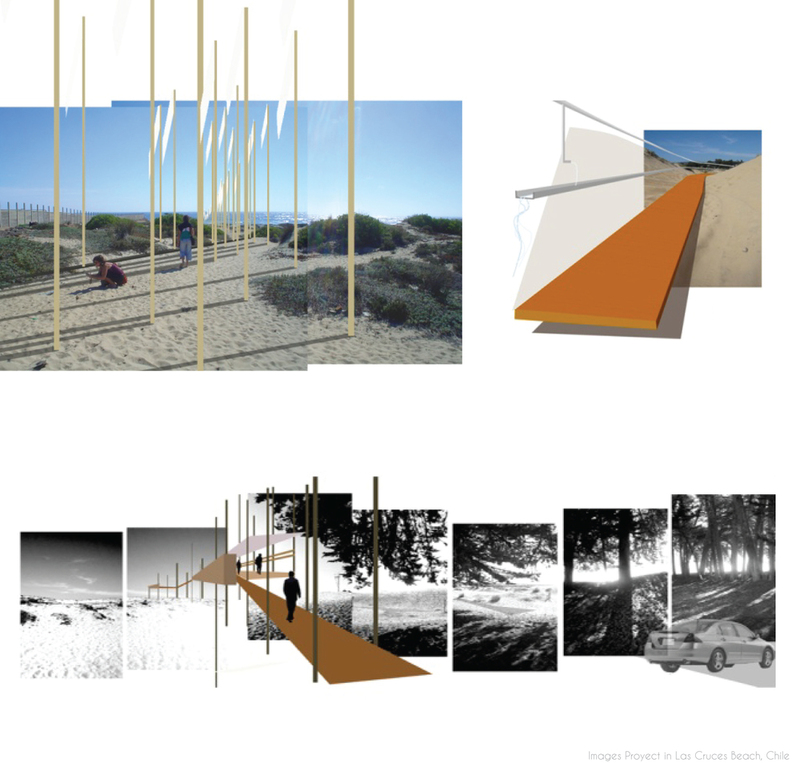 Creating a scupltural and functional border on the beach side in Chile. This photomontage was created at Santiago Parragon Architecture office in Shanghai. We were exploring shapes and contrast with nature in a very evocative and surreal way. This research was done for a museum project in Chengdu province, China. Project done for a university project in which the roof is a series of stripes with grass on them. I designed the pavement and vegetation floor plan for this project in Shanghai while working for ANS Architects. I created vegetation and pavement plan for this project in Chengdu when working at ANS architects, Shanghai. I worked in a project to design a city in MianYang, Chengdu, China. Here we created three different areas that were contained in this 100.000 inhabitants city, industrial, residential and business. This was when working with Santiago Parramon Architects in Shanghai.